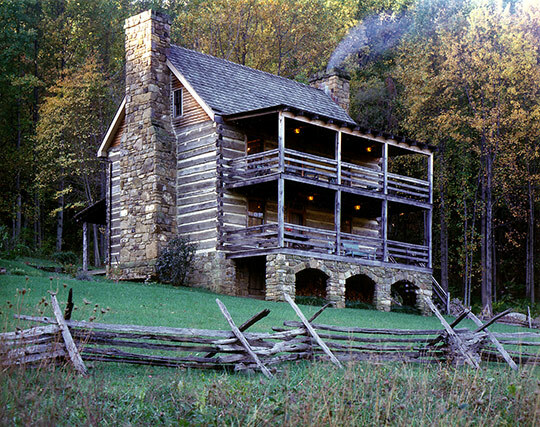 The Altaffer's is a massive two-story log cabin set against the woodline in rural Virginia, outlooking onto farms and fields. It was built for Larry Altaffer—a world renowned artist. 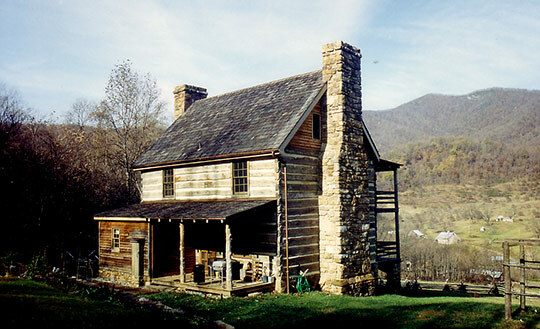 Smoke rises from one of the stone chimneys on this magnificent cabin. The porch speaks softly of days gone by. An elegence and comfort prevades the entire home. 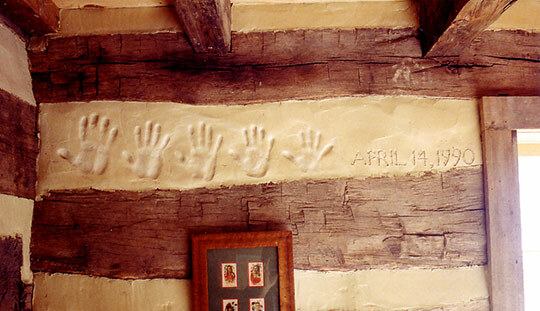 In a thoughtful touch, Noah Bradley managed to imprint the entire family's hand prints into the chinking of the log cabin. 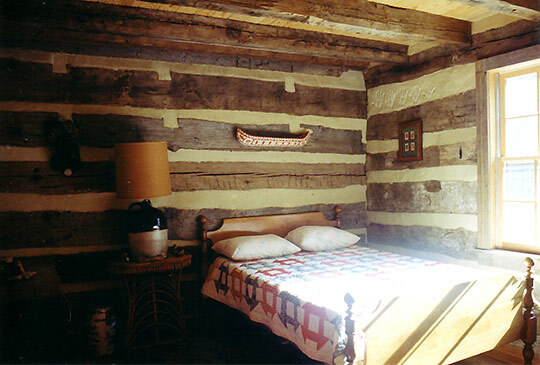 A comfortable, country bedroom: warm and secure. 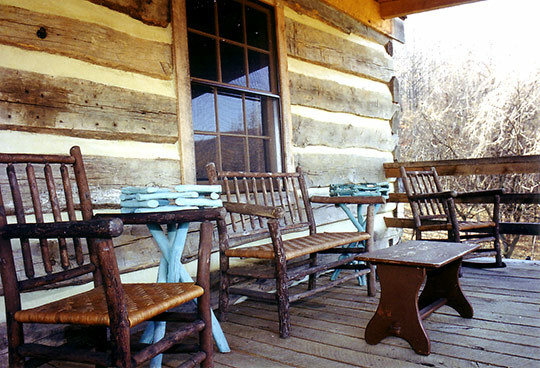 The back of the cabin, with a view of Doubletop Mountain in the distance.